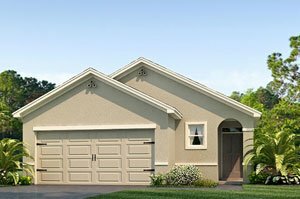 Silverstone South is a neighborhood in the Willow Hammock Community Development District (CDD) established in 2017 in Palmetto, a northern Manatee County area that has grown to become a hot submarket of Bradenton homes for sale. This CDD encompasses an area of about 100 acres off north of Mendoza Road and directly adjacent east of the subdivision Willow Walk also offering a wide selection of newly constructed residences. Home construction in Silverstone South is under the banner of national builder D.R. Horton, which has already set up stakes in the neighborhoods of Willow Walk. This Forth Worth, Texas-based, publicly traded company started marketing Silverstone homes for sale sometime in the 2018 first quarter, well in time with the market’s selling season. Its prime location between the vital corridors of Ellenton Gillette Road and Interstate 75 very well set Silverstone as a hot market entry. Buying interest on its residences also draws strength from an amenity center on the pipeline for the Willow Hammock CDD, which include a resort-style swimming pool, tot lot, and nature trails. The developer of the CDD, Soho Mendoza LLC of Tampa, platted the community as a subdivision for single-family homes with a total of 136 lots. The lot sizes measure 40 ×120 feet and 50 × 120 feet on which D.R. Horton is building. D.R. Horton offers 10 floor plans in Silverstone South, four of which are one-story layouts and six are two-story designs. The single-story builds feature floor plans of between 1,500 and 1,850 square feet, good for three to four bedrooms and two baths, plus a two-car garage. The builder’s two-story designs come in layouts ranging from 2,260 to 2,807 square feet with four to five bedrooms and two and a half to three baths. Pricing of Silverstone homes for sale starts from the low $200s, quite competitive with Sarasota and Bradenton homes for sale. Prospects for the appreciation of property values in communities like Silverstone loom bright, as the city of Palmetto is undertaking major urban revitalization projects. One initiative was already completed in 2017—the $4 million first phase of the makeover and installation of new facilities at the city’s Riverside Park south of Silverstone. Aside from their potential for value appreciation, Silverstone homes for sale could easily pique the interest of home buyers with their proximity to several local points of interest. Short trips northward from this community opens access to golf and other country club activities in the Parrish golf links of Moccasin Wallow and Buffalo Creek. Driving southward would even be more delightful, as the Ellenton Ice and Sports Complex and the bargain center of the Ellenton Premium Outlets are less than a mile via this direction. A little farther down south, the city of Bradenton offers many attractive leisure facilities such as those in the Riverwalk park and the G.T. Bray Recreation Center. Additionally, the ball club Pittsburgh Pirates holds spring training games at the LECOM Park in the city. In west Bradenton, more outdoor activities can be enjoyed at the Robinson Preserve which has educational facilities as well. Westward still, Anna Maria Island conveniently offers plenty of beach-based activities as pastime for Silverstone residents. 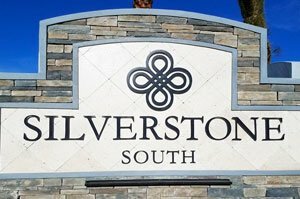 Below are the current real estate listings available at Silverstone South.